This is a decent comic adaptation. I wasn't wild about the art, but it did remind me of the 70s cartoon movie I grew up watching, so I'm glad I own it for nostalgic purposes. It is a good summary of the book and I think it's great for younger readers or teens, who aren't sure if they want to check out the book yet. 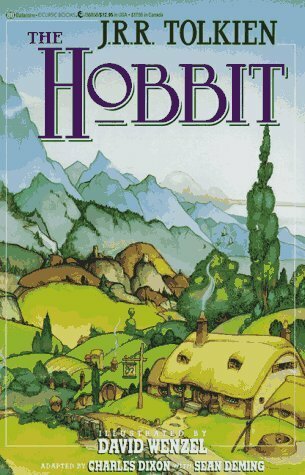 Sign into Goodreads to see if any of your friends have read The Hobbit.